This lovely short walk will help you get your bearings if it’s your first visit to Gumusluk. 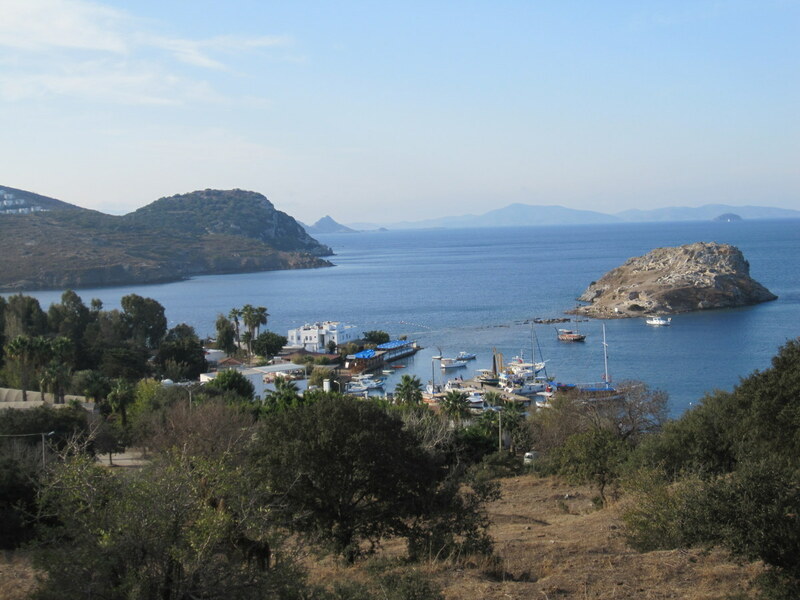 It takes you along a (now) traffic-free road (apart from the odd moped) and offers the best views of Gumusluk Bay (see below). Return via the beach and an old donkey track. Plenty of cafés and restaurants and little shops on the way. Turn right out of the Opus site* and in less than half a mile you will reach a T junction where there are various signs including one to Victoria’s. Turn left at the T junction*. This road is now a ‘no through road’ for traffic but there is access for pedestrians. The road meanders past Limon Café (see page 21) on your right and Narcicegi – a colourful little café with great views to your left. Soon after spectacular views of the bay will appear to your right. Continue past the archaeological site (reason for road closure) and down to the road junction. Turn right here to the shops and beach. At the beach turn right and about 100metres after the last restaurant (‘Mimoza’ see page 20) there is a donkey track to your right. A 10 minute walk up the track takes you back to the road. Turn left and then almost immediately right at the sign back to the Opus site. This entry was posted in Activities, Gumusluk by Paul Smith. Bookmark the permalink.